Research Roundup: Cigarette smoking at an all time low, Human infants and chimpanzees laugh in a similar manner and more! Cigarette smoking an all time low, but it’s not all good news. The Centers for Disease Control and Prevention has reported this week that smoking rates is at an all time low–only 10% of Americans smoke. But this is not all good news–47 million American still consume tobacco products, of which more than 2 million are middle and high schoolers. As we have highlighted previously, animal research into nicotine addiction remains imperative. This is because the long term consequences of exposure to a host of unknown chemicals that co-occur with the consumption of e-cigarettes, smokeless tobacco, water pipes, hookahs and the like are virtually unknown. Babies laugh like chimpanzees new study finds. Babies laugh in a manner that is different from adults–they laugh when they exhale and inhale. This conclusion was derived by researchers studying laughter clips from 44 infants and children between 3 and 18 months of age. Interestingly, chimpanzees, another primate, also laugh in the same manner as infants. Part of the explanation for the difference between infant and adult laughter may lie in the reason for its occurrence. 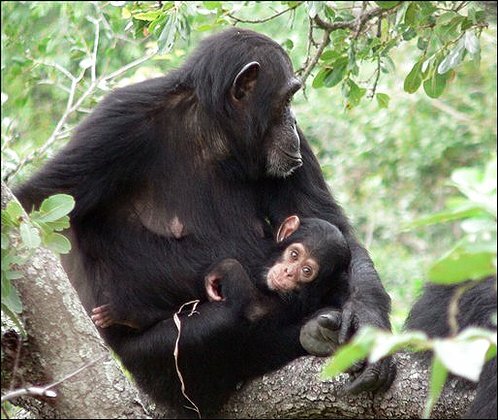 In human infants and chimpanzees, laughter often occurs as a result of physical stimulation such as tickling, while as adults, laughter can additionally be elicited from non-physical social interactions. Presented during the Acoustical Society of America’s 176th Meeting. Promising research may lead to treatment to safely treat patients with ALS. ALS (Lou Gehrig’s disease) is diagnosed in almost 6,000 people each year with near the same number dying from the disease. ALS causes motor neurons to die leading to deterioration of the patient’s muscles including those essential for survival. Researchers at the University of Massachusetts Medical school were able to translate mouse studies to monkeys showing that a gene therapy delivered to motor neurons silence the gene that causes the disease, without any adverse effects. The results are allowing researchers to develop a potential therapy that can then be moved to human patient trials. Published in Science Translational Medicine. Canine Models of Batten Disease May Help to Develop New Therapeutic Approaches. Researchers at University of Missouri have conducted a review of the existing research about neuronal ceroid lipofuscinoses (NCLs), a devastating inherited progressive neurodegenerative diseases, which includes Batten Disease. NCL-like disorders are naturally occurring in many mammals including dogs and humans. The study looked at publications for more than 20 canine breeds, including mixed breed dogs, and found 12 mutations in eight genes equivalent to the known human NCL-related genes. They also evaluated potential therapeutic approaches in dogs with two different forms of Batten disease. One form, CLN2, was successfully treated using enzyme replacement therapy, first in miniature longhaired dachshunds and now in children with the same form of the disease. Researchers hope that with this information effective dog models for other forms of the disease can be used to develop effective therapies to help both dogs and people overcome these debilitating genetic diseases. Published in Neurobiology of Disease. Source: Video recording of a German Shepherd Dog-Australian Cattle Dog mixed breed dog with NCL due to a mutation in CLN5. Bioreactor device improves limb regeneration in frogs. Typically, adult frogs can only grow back a thin spike of cartilage after a limb amputation. Researchers at Tufts University created a wearable bioreactor device that releases progesterone into the amputation site, resulting in an enhanced regenerative response. The bioreactor was 3D-printed out of silicon and laced with proteins that promote healing. In the experimental group of frogs, progesterone was added to the bioreactor and released into the amputation site. Compared to the sham group (frogs that wore the bioreactor but did not receive progesterone after amputation), the experimental group regrew a leg that was more paddle-like in formation and had thicker, more developed bones, innervation, and vascularization. These frogs also swam more similarly to frogs without a limb amputation. Researchers plan to test their approach in mammals and target spinal cord regeneration and tumor reprocessing. Published in Cell Reports. Posted on November 9, 2018 November 9, 2018 by EditorPosted in News, Research RoundupTagged laughter, Lou Gehrig's Disease, neuronal ceroid lipofuscinoses, nicotine, regeneration, smoking.